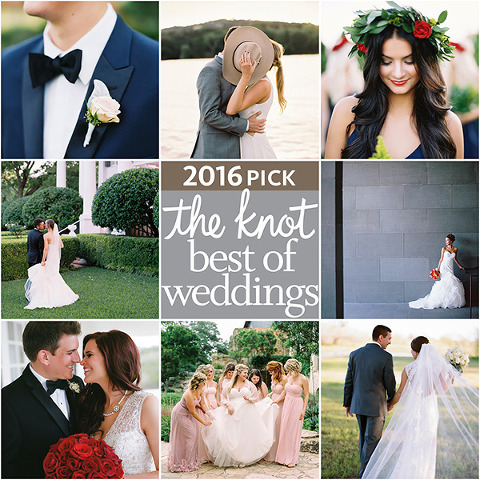 Awarded one of The Knot’s Best Of Weddings 2016! I am so excited to announce that May Carlson Fine Art Photography has been listed as one of The Knot’s Best of Weddings 2016! I want to start off by thanking all my wonderful brides and clients who made this award possible! When I set out to start my own business a little over three years ago, I had no idea I would be where I am today. The thought of running a business and being thrown out in to “the real world” to fend for myself and be successful was so scary! Even though it was a long time dream, it still seemed so far away! I look back and seriously am so thankful for all the challenges I have faced and mistakes I’ve made (and yes there were a lot! Yikes!). It’s funny, because now I see all those experiences so valuable. They are truly the reason for my continuous growth as an artist and omg, dare I say a business woman? I get to wake up every morning and do what I love? I get the opportunity to travel and photograph weddings in some of the most amazing destinations all over the world? How did I get so lucky? Don’t get me wrong though, running a business is hard work. My stress level is sometimes through the roof trying to keep up with all of my clients, editing, day to day projects, staying up-to-date with social media, being a mom and wife, and remembering everything else on my never ending to-do list (see my New Years Resolution post!)! And the good news is that my business has grown and I’ve been able to hire some amazing girls to help me out. I seriously don’t know what I would do with out you girls! Even after all the work, sleepless nights spent editing, and weekends away from my precious family I still wake up every morning and consider myself so fortunate to be where I am. I obviously love photography and working with people, but being a part of the most exciting time in my clients’ lives brings so much joy and fulfillment to my own! Bringing to life their big day by capturing the most precious moments filled with so much happiness, excitement, jitters, happy tears, and lots of laughs is simply amazing. By the end of every wedding I leave feeling SO happy and excited it’s sometimes hard for me to fall asleep – even after a 12-hour workday! Being granted this award from The Knot in my first year of business was sort of shocking; and the second year I was so excited; but now for the third time in a row?! I have no words — only the warmest thank you to all of you who have trusted in me to capture your special moments! I’m beyond honored to have been a part of it.